Rated 4 out of 5 by Oedesh from Liked it Liked it but not as good as luxor 3 and 4! Rated 3 out of 5 by mrm2006 from It Was Just Ok I've played shooter games before. In fact, I'm actually pretty good at them, but I dislike them. Go figure. Having said that, I am not biased against this game at all. So, let's NOT go there. Storyline: There is an amazing story that starts at the beginning of your game play. I thought it would continue between levels - NOT. Graphics: Ok. Nothing amazing. Sound: Music was ok - relaxing - I fell asleep twice. Seriously. I can hear you thinking - it's been a rough day, ok? The sound effects were spot on as well. Game Play: I'm sure everyone knows the premise of the game is to shoot your colored ball into a string of various colored balls and make a match 3 or better. You MAY be rewarded when that string is finished, with gems and what look like mini gold bracelets but DURING game play - that's a whole different story. You may get gems showered upon you, as well as gold trinkets, but what you really want to catch are those winged runes. They are the elements that contain the real power in the game. From stop, to reverse to color bomb to lightning bolt. So, there you have it, the logistics of the game. I was not impressed. I remember the first time I played a Luxor game - it was recently. Then, I was greatly impressed. I keep hoping I will stumble across that game, Luxor >>>>>>>>>>>>>> because I think I will purchase it - now, however, is not the right time for me. Glam-ma says always try it before you buy it - you have nothing to lose but an hour of your time. And, it may be just the game you've been looking for. Please take a moment and click on "yes" below if my review was helpful. Click "no" if it was not. If you don't want to hurt Glam-ma's feelings then just don't click anything. LOL Just kidding. Rated 3 out of 5 by LobsterMann from Very geared to accuracy than speed This game is very geared to accuracy, more than speed and reflexes so if you like that, target practise, this game is a good one. That said I found it boring, as it was slow with all these twists and curves. Zuma is the best, do doubt about it. Aquaball is better than this too. Rated 3 out of 5 by supercherry from Not The Best Luxor Game It was kind of disappointing. Has some levels from Luxors 2&3. The balls go WAAAAY too slow on easy, And WAAAAY too fast on insane! I am only at like, level 6 or something, and I don't recommend it. Rated 3 out of 5 by BabyWombat from A Bit Of A Disappointment Not as good as Luxor 3 or 4. Looks stunning, music dramatic but not annoying. Four difficulty levels (didn't try the insane level). Lots of powerups but some bugs in the program. Trophies to collect which is good. Different modes (story, blast etc). While I enjoyed my free hour this isn't one to buy. Rated 3 out of 5 by SynthpopAddict from Not quite up to other ones in the series. 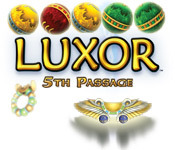 Pros: Variety of game difficulty, minigames, revisitation of parts of previous Luxor games Cons: Game design Luxor 5th Passage features nice graphics and relatively smooth gameplay (more on that later) but still manages to fall flat when compared to some of the others in the series. Some of the good features like being able to pick your difficulty level are back (and players can change the difficulty per board if they choose), as well as the blade shooter bonus round from Luxor 2 and the super cute Luxor 2 scarabs. If you don't have much time, you can get a quick fix by playing in Blast Mode, which is a 2 minute survival test. 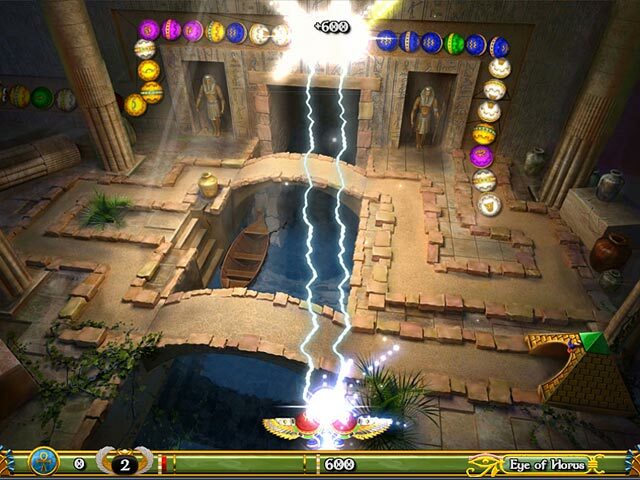 There is also Player's Choice mode, which features boards from Luxor 2 and Luxor 3 which you may just love to hate, as many of the boards chosen are the ones that proved to be a serious challenge in those games. 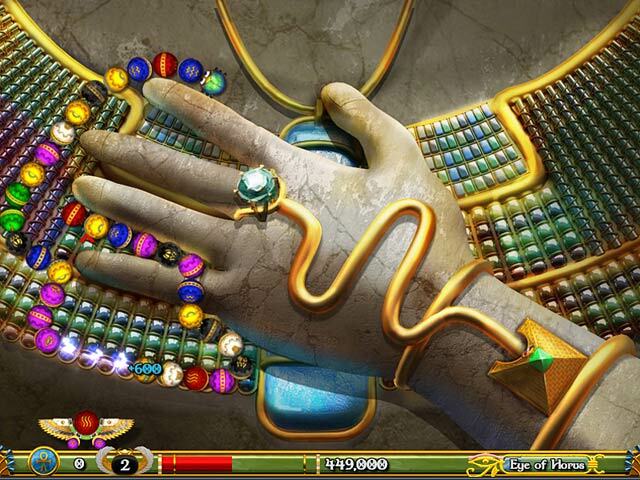 The graphics are on the same level as Luxor 2, and there is an assortment of trophies to earn to keep players coming back. Why does this game miss the mark? The programming appears to have been rushed and there are several flaws inherent to the game itself which are not caused by Big Fish or any other portals which feature this game. The latest powerup touted in 5th Passage doesn't work, for instance, and this has been reported by players at multiple game sites. To put it shortly, lots of bugs, and I'm not talking about the scarabs. Rated 2 out of 5 by dog2000 from Bad!! I didn't like the animation effect and 1 more thing is very hard to get the special "EYE OF HORUS". I play this game and I think just for fun only. Rated 2 out of 5 by top_agent_pggjr from Game falls flat compared to the other Luxor games The level design is much less desired compared to other Luxor games. 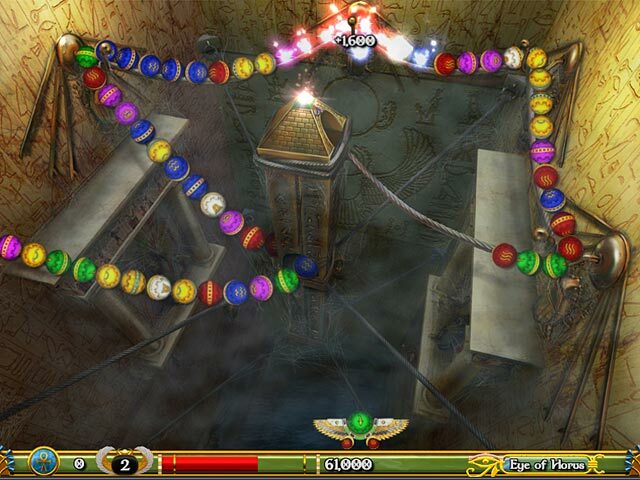 Furthermore, the graphics is a far cry compared to those in Luxor 2 and Luxor 3. Some of the good powerups like color cloud, sand storm are gone and the substitutes are worse. E.g. the whirlpool lasts only for a while and it is only useful if it is at the beginning of the path. The only new powerup which is good is the double shooter. Even then, it is a nuisance in the bonus mode. As for the existing powerups, they are degraded (e.g color shooter) or kill accuracy (e.g lightning ball). New powerups like the lead barrage and spiker also kill accuracy. To be fair, the game has a good point which is the People's Choice levels which allow players to replay levels from past Luxor games. However it is marred by the graphic deficiencies and the game music is incorrect in some of the levels.